Sketchup is a 3D modelling tool by Google that you can use to create 3D models of just about anything. It's designed to be easy to use. Easier when compared with commercial 3D modelling software, that is. 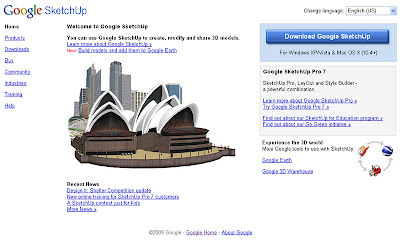 Google Sketchup has a free version that you can download. This version is quite powerful by itself, but if you want more out of the basic package, you can always go to the Sketchup Pro route, though the basic software usually possesses already what you might need, and more. So if you need a 3D modeling software, why not give Google Sketchup a whirl?